We spent Memorial Day weekend in Virginia Beach. Though we ALWAYS have work to do, the 4 days we spent there was the perfect balance of work and relaxation, namely in the form of visiting with J's extended family. In our travels around the country, the easy option is to sleep in our Sprinter Van. But, it's always nice to stay under a real roof. And that's what we did in VA Beach, thanks to the awesome hosting abilities of J's aunt & uncle. 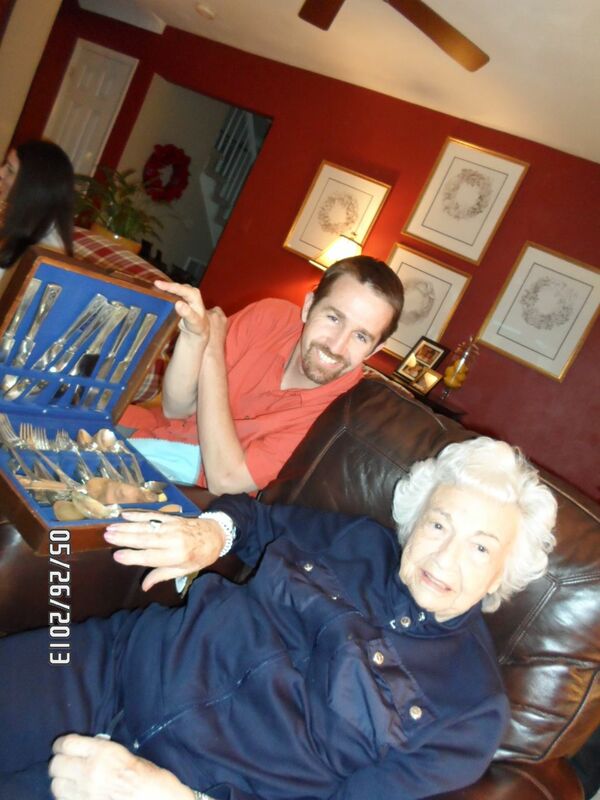 We spent a lot of time with J's Grandma, who recently moved to VA Beach from California. For almost 90, she still amazes me. We made a quick pitstop in Danville to pick up a package that wasn't there (always fun), but at least we were able to squeeze in a quick visit (and extreme badminton game) with our favorite Great American Family. Now we are in Ohio heading to Indiana and that will be a whole separate post because I reached my blogging capacity for the day. Plus, I suspect you have reached your reading capacity for this blog post. Mutually beneficial.